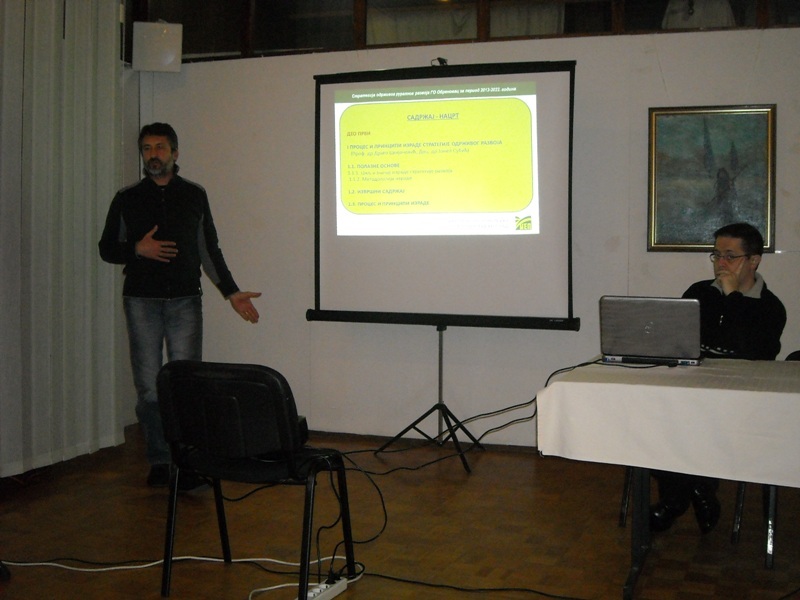 On January 31st 2013 was presented the “Strategy of sustainable rural development of TM Obrenovac for the period 2012-2022” in the gallery of Sports-cultural centre. 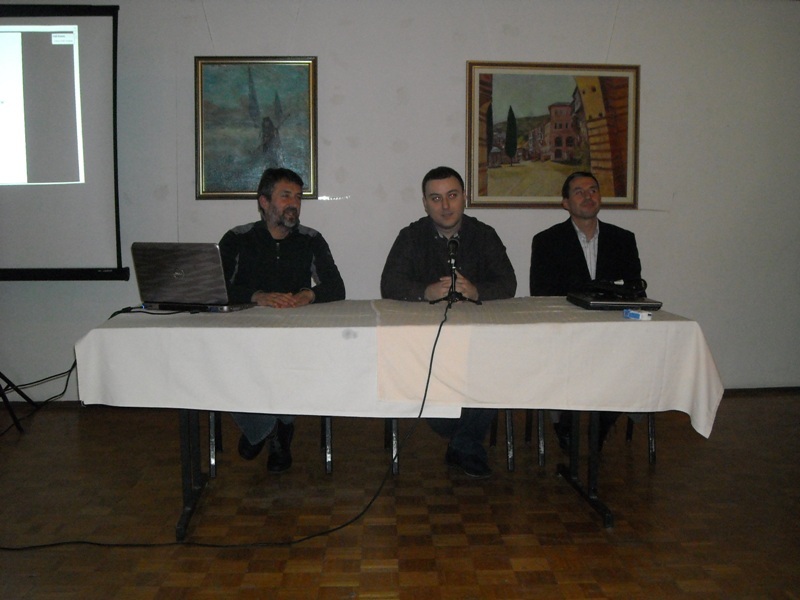 The strategy was adopted on December 4th 2012 at the Assembly of the TM Obrenovac. The strategy represents a result of eighteen-months-lasting research work of the team from the Institute of Agricultural Economics, which was engaged by the Public Company for the Environment Protection and Improvement at the territory of the TM Obrenovac. In a process of the strategic document creation was applied a participative approach in which have took part all relevant actors from the territory of the TM Obrenovac. The strategy is complex strategic and developmental document in which has been represented, on 229 textual pages, organized in two parts, a vision of further sustainable rural development of Obrenovac. In the first part of the strategy, which encircles seven chapters, was given the state review of all resources which have direct or indirect role in rural areas development. Starting from common data on the Town Municipality, over macro-economic terms and a role of agriculture and agro-industry in economy of Obrenovac, then the state review of natural renewable and non-renewable resources, structure of subjects in rural economy, structure of production and market of agricultural-food products, the analysis of social, physical and communal infrastructure in rural areas was shown the general state and a base on which is necessary to establish an integral economic, technological, social and cultural development, adjusted to needs of the environment protection and improvement. The state analysis was done according to data of the Statistical Office of RS in the period 2000-2010, as well as according to internal data of the TM Obrenovac. The second part of the strategy is providing a vision of rural development of the TM Obrenovac in the future, the strategic goal of the TM Obrenovac in the field of rural development, as well as the specific goals, measures and projects after defined development priorities, which will be implemented through the strategy. The realization of the strategy was conceived through 3 DEVELOPMENT PRIORITIES, 28 MEASURES and 226 PROJECTS. In the future development of rural areas and therefore the entire TM Obrenovac, the priority will be improvement of the following sectors: agriculture, the environment protection and the improvement of physical and social infrastructure, together with diversification of rural economic activities. 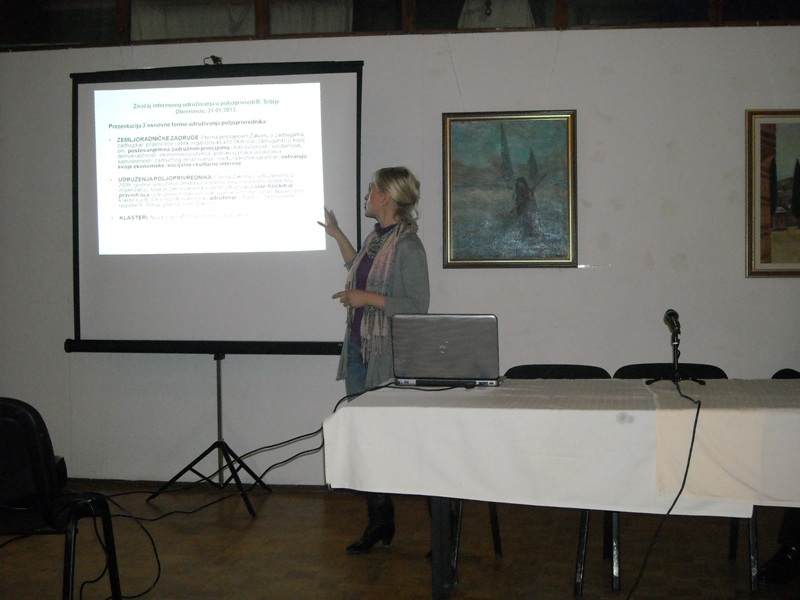 The representatives of the Institute of Agricultural Economics regarding the strategy were Assistant Professor Jonel Subic, Vesna Parausic PhD, MSc. Predrag Vukovic and eng. Svetlana Roljevic. 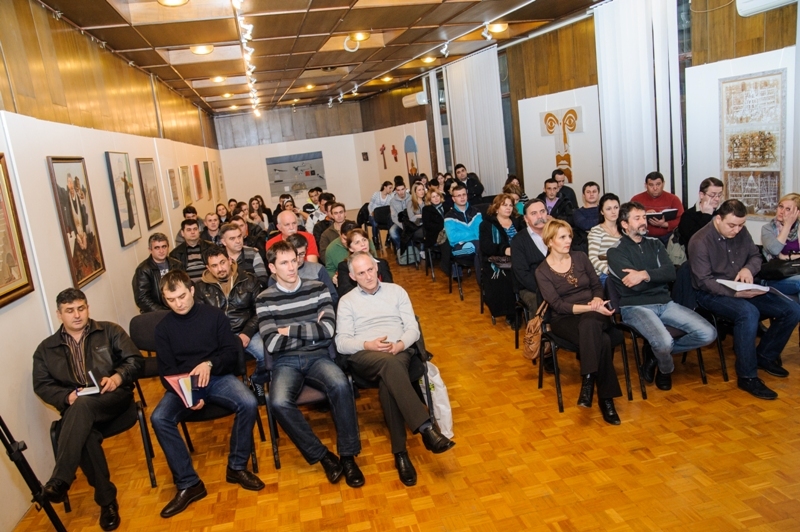 Numerous visitors had attended to the strategy presentation, among who were Miroslav Cuckovic, the president of the TM Obrenovac, Srdjan Dragicevic, director of the Public Company for the Environment Protection and Improvement, representatives of local communities, many participants – pupils from elementary and secondary schools, as well as all interested inhabitants. The representatives of the TM Obrenovac had informed everyone that numerous projects, suggested by the strategy, have already realizing, while significant number of project applies for assets from the budget of the Town, Republic, European and International Funds.